The Experience API is about the data and metrics that are important to you. It standardizes and collects, it doesn’t tell you how or what to do with that. It doesn’t go near content, content can be anywhere. Content can even be sidelined completely and you can look at people building their own knowledge, if you like. Many are aware of, or coming from, previous eLearning standards that forced collection in a way that pointed to a specific pedagogic and/or assessment model. xAPI does not do this. It is agnostic. Collect, assess, and report on what is important to your specific directive, program, or tool. You plan the learning experiences that are right for you. 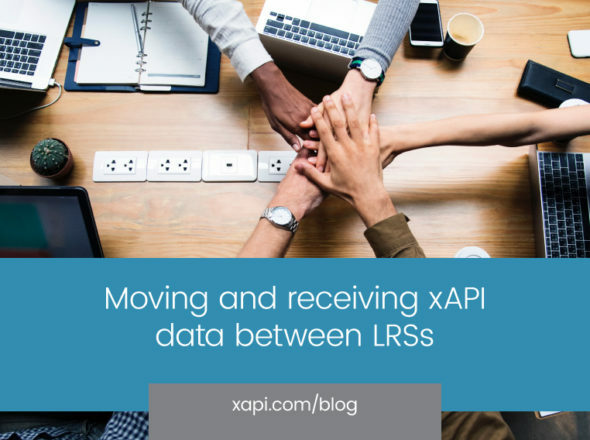 We only want you to implement xAPI in a way that supports that.